The Project Handcraft’s City Experience Center, Nanjing is completed and opened in the end of 2016. 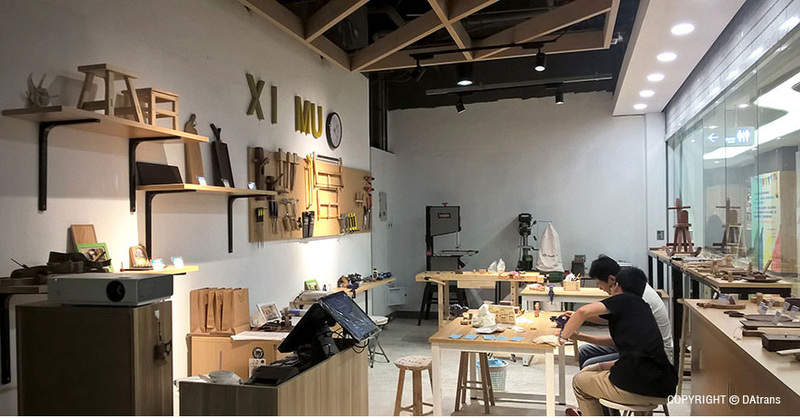 The 1,400sqm space, located in the Baijiahu, Jiangning district of the city Nanjing, contains 14 handcraft’s retail-workshops like paper art, leather, woodworking, ikebana, kids’s DIY and goldsmith etc., and a special DIY learning center that provides the programs for DIY’s fans’ display, promotion and exchange will also integrated. We wish the opening of this space will bring Nanjing a new typology of cultural space combined with the program of experience, learning and communication and match the increasing social requirement from the family’s leisure.